The timelessness of the Shaker range is its simple, unpretentious design. Six finishes and four styles are available in the Castella Shaker Range, perfectly suited to your Hamptons or Shaker style Kitchen design. Hamptons interior design style represents elegant and relaxed coastal living. The Kennedy Range is the most popular choice for lovers of Hamptons Style Kitchens. 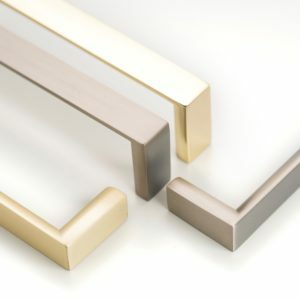 Featuring clean lineal lines, our Planar range is one of our best selling ranges. 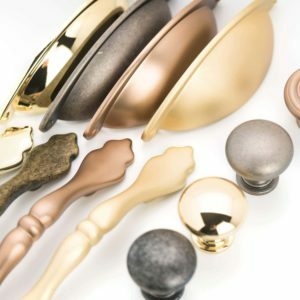 Available in four finishes and seven lengths, it is suitable for use in shaker, modern, minimalist, and hamptons style kitchens. 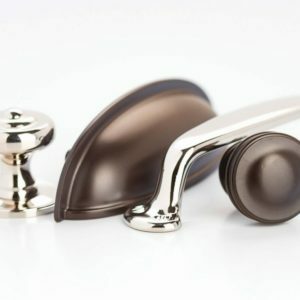 Our exclusive Decade range features solid brass base material, seven styles, and two finishes; Polished Nickel and Oil Rubbed Bronze, making it the impeccable finishing touch to your Hamptons or deco cabinetry. Soon to be released in two new finishes, satin brass & dull brushed nickel. The Ledge Lip Pull is perfect for those wanting the functionality of a handle but the discrete luxurious look of handleless cabinetry. Perfect for the minimalist and modern kitchen designs. Our exclusive Castella Terrace range reflects a timeless Italian design. 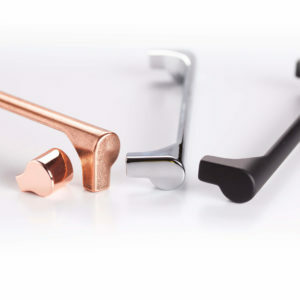 Dress up your cabinetry with an effortless but stylish handle that will look fresh for years to come, in either matte black, polished chrome, bright copper or antique copper. 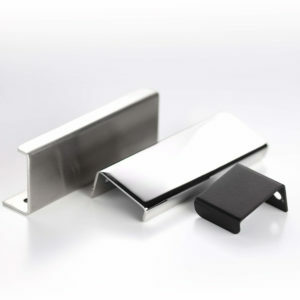 Ideal for modern contemporary kitchens.